There are many Iron Age forts in Wales and several in this area. 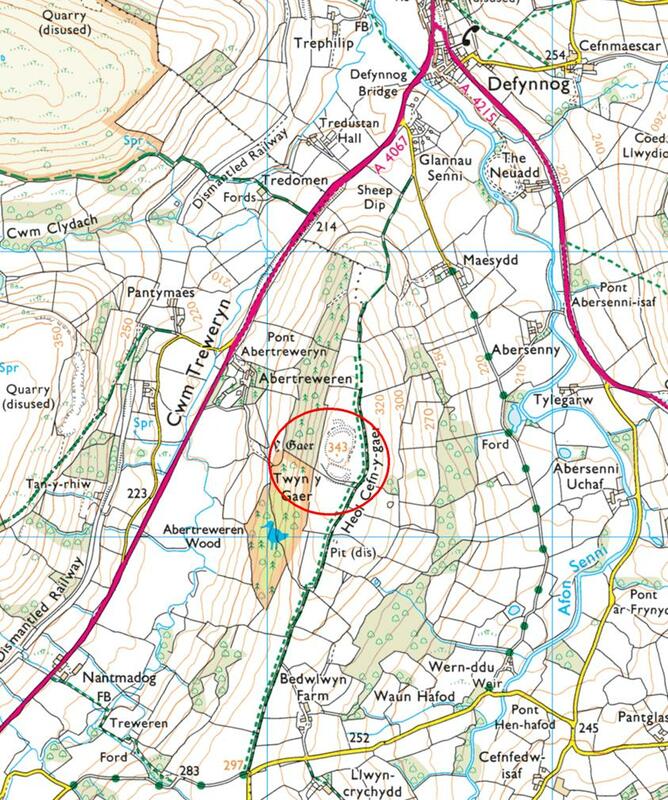 A pleasant one to visit is 'Y Gaer' at the side of a bridleway above Defynnog. It is on private land and it has not been excavated. Fine views are provided to the north and east.